LEAF Logo From carefully selected farmers who share our values and commitment. 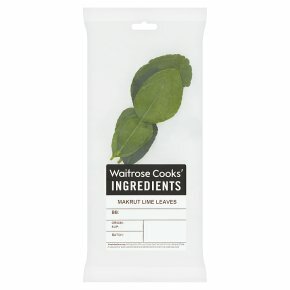 For further information go to waitrose.com and www.leafmarque.com. A waxy, firm leaf with a powerful citrus flavour. Perfect in Thai and South East Asian cuisines. Can be used in curries, soups and great with fish.Why not try 'Coriander. A versatile herb with a hint of citrus. Add to salads, curries, stir fries and sauces for a wonderful fresh, zesty flavour.